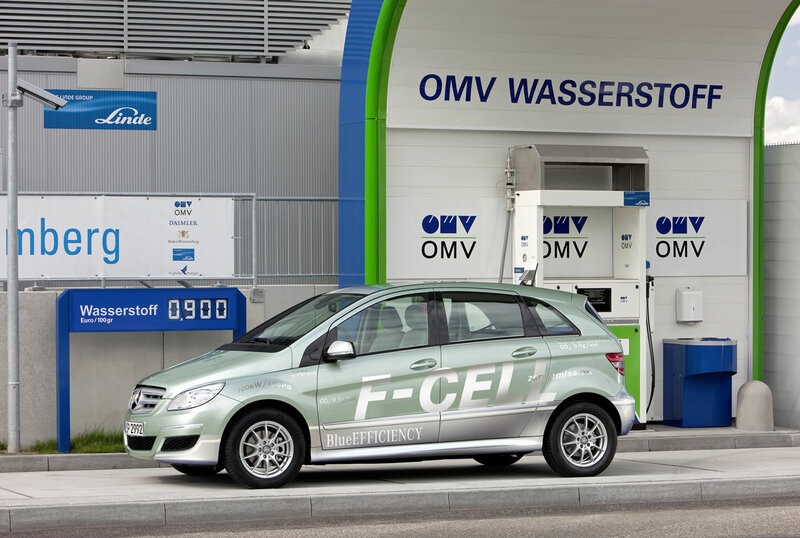 Customers will not have to sacrifice any driving pleasure with the new Mercedes-Benz B-Class F-Cell car, because the electric motor has a peak performance of 100 kW/136 hp and a maximum torque of 290 Nm—and yes, that’s available from the first rotation. 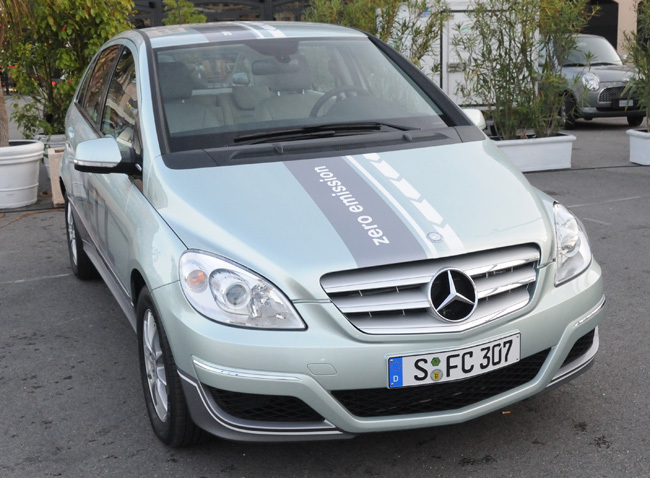 The zero-emission fuel cell drive consumes the equivalent of only 3.3 litres of diesel fuel per 100 kilometres (NEDC). Mercedes-Benz says that there are currently 20 Mercedes-Benz F-Cell test vehicles undergoing real world testing in the United States. How does fuel cell technology work? Fuel cell technology produces electricity and heat through controlled electrochemical reactions between hydrogen and oxygen, with water being released as a by-product. 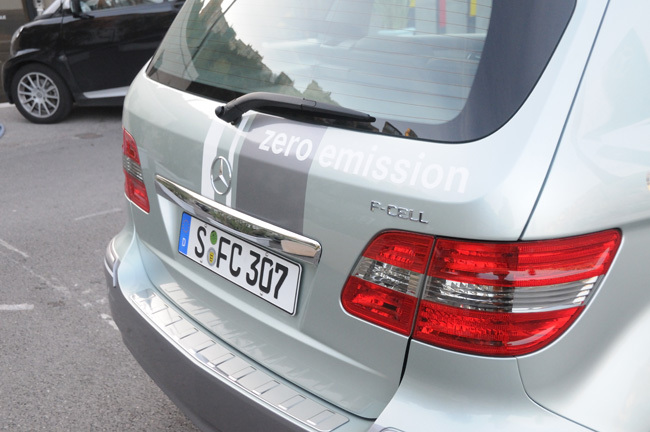 This energy is used to drive the vehicle’s electric motor by stacking multiple cells upon each other and eventually make this Mercedes-Benz perform at 100 kW/136 hp. Mercedes-Benz says its goal for these vehicles is for zero harmful emissions and sustained mobility— and since water is the only by-product, we think they’re on the right track. 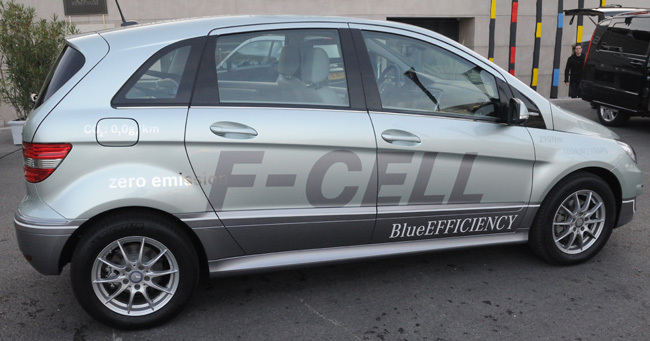 The first series-produced F-cell Mercedes are currently being manufactured and will be available in 2010. Mass production on this vehicle is expected to begin in 2013. These lovely pictures were snapped by reader Mike Allen at an auto show in Monaco today. Thank you Mike!